We know that all brides want their wedding day to be perfect, it's the day they are true princesses and no one can ruin that. And a key part of this day is undoubtedly the make-up. 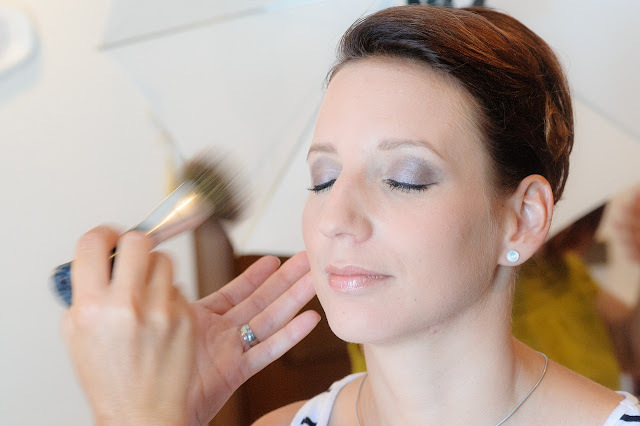 Wearing a smooth, flawless skin is one of the most important points for bridal makeup to look flawless. Ideally, apply a smoothing base and then a fluid makeup foundation (most similar to the natural tone of your skin). Then it is advisable to take the concealer in the area of ​​the ears in a diffused way. To look more spongy skin, we can apply a blush on your cheeks simply with a peach tone. As a little trick, you can apply a little illuminator, in the upper arch of your eye (below your eyebrow) and on the cheeks. Your skin should be clean and ready to receive makeup. For this, Riku recommends making 3 facials before the wedding, but making sure that the last one is 2 weeks before the special day (for that of the unexpected allergic reactions). It is advisable to use a foundation of liquid makeup in yellow shades. Preferably the base they already know, which they use regularly for special events. It is also advisable to use a liquid corrector a tone lower than that of the base. If it is liquid it is better mimicked with the make-up and leaves the face less doughy. While the photos are a fundamental part of your wedding, the most important thing is the person you are marrying and he should look beautiful up close, so do not abuse the products, that does not look like a mask but it enhances their features. To this day yes or we do need waterproof mascara ... chances are they will cry a little so better be prepared. Are you going to get married and do not know who to put on your makeup? Do not waste more time searching, Artistry by Mindy, is your solution for that special day to look like a true princess. Article based on: ¿CÓMO DEBE SER EL MAQUILLAJE DE NOVIA? (s.f. ), 5 consejos de maquillaje para el día de tu boda(s.f. ).